Josef “Joschi” Pöhs was born on 14 March 1912 at Altkettenhof in the Schwechat region of Austria. He joined the Luftstreitkräft in 1934 and served in the aerobatic team. Following the annexation of Austria on 12 March 1938, Pöhs transferred to the Luftwaffe serving with JG 138 initially. On 1 May 1939, JG 138 was redesignated JG 76. At the outbreak of World War 2, Pöhs was serving with 2./JG 76. He participated in the invasion of Poland, the French campaign and the Battle of Britain. On 4 July 1940, 2./JG 76 was redesignated 5./JG 54. By the end of the Battle of Britain, Pöhs had seven victories to his credit. Pöhs served with 5./JG 54 during the invasion of the Balkans. He recorded a victory over a Yugoslavian Blenheim twin-engine bomber during the campaign. The unit later relocated to Russia where Pöhs was to be particularly successful. He claimed two Russian SB-2 twin-engine bombers shot down on 22 June 1941, the opening day of Operation Barbarossa, to record his 10th and 11th victories. On 13 July, Pöhs claimed two Russian DB-3 twin-engine bombers shot down to record his 19th and 20th victories.  Leutnant Pöhs was awarded the Ritterkreuz on 6 August 1941 for 28 victories achieved in 225 missions. On 11 August, he shot down three enemy aircraft (29-31). He recorded his 40th victory on 7 September. In September 1941, Pöhs was transferred to the Ergänzungsgruppe/JG 54 to undertake instructing duties. He was transferred to Ergänzung-Jagdgruppe Ost in February 1942. In June 1942, Pöhs was ordered to Erprobungstelle Rechlin and, later, he joined Wolfgang Späte (99 victories, RK-EL) at Erprobungskommando 16, where he assisted in the development of the Me 163 rocket-powered fighter. On 30 December 1943, Pöhs was killed when his Me 163 crashed at Bad Zwischenahn. 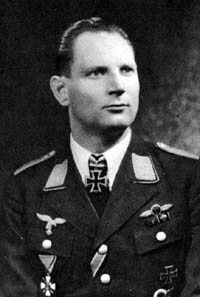 “Joschi” Pöhs was credited with 43 victories in approximately 300 missions. He recorded 35 victories over the Eastern front.